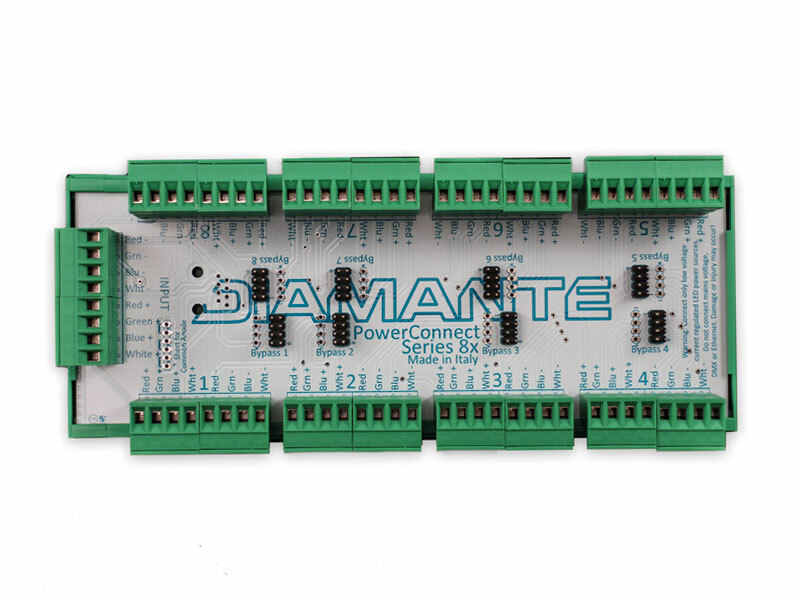 It is a terminal block made to ease the series connection of up to 8 groups of RGB or RGBW LED; bypass connectors allow to exclude the unused outputs. For use in combination with Power Manager 1X / 4X equipment. 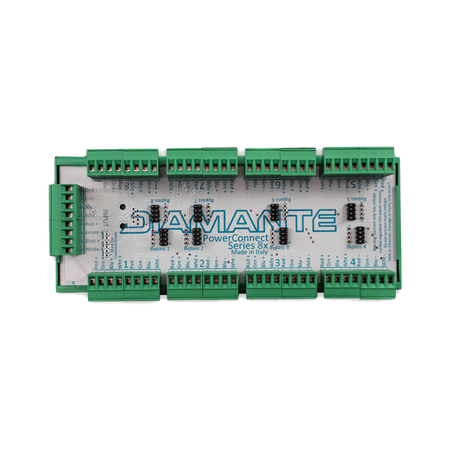 Features: Provides an easy way to realize series connection for constant current RGB or RGB + W devices, up to 8 devices.